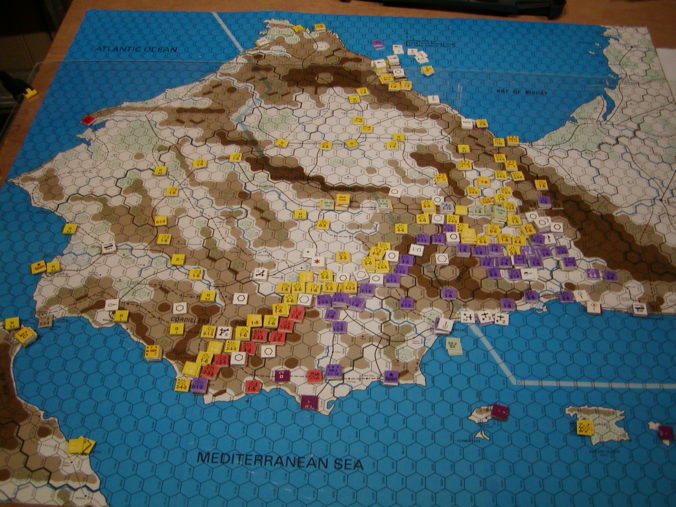 The adverse weather spreading across all of the Iberian Peninsula has reduced military activity to a minimum.. 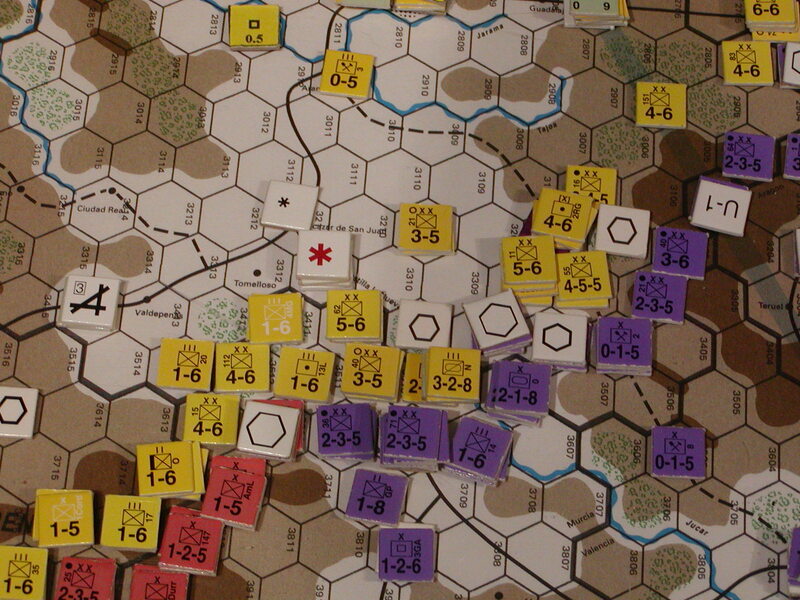 The Nationalists are massing a few attacks on the Albacete front at minimal odds and resource expenditure where the Republic line has been disrupted by earlier attacks but they need to conserve supplies for the spring . The republic for their part has settled now on a purely defensive strategy. They are getting alarmed at the recent destruction of divisions and complete lack of any manpower reserves but infiltrators and sympathisers are advising that the Nationalist policy of attrition is rapidly draining their reserves as well and that they may soon start to have replacement issues. The Republic therefore are embarking on a strategy of shortening and fortifying the line where necessary to strengthening the defence. They are to amass supplies and assemble a few attack capable stacks placed to make localised counter attacks to plug any gaps the Nationalists may make but they do not plan any more large offensives. International opinion is forming that the Republic will survive and without a clear victory the mood in diplomatic circles is that unless Franco and his fellow Fascists can prosecute the war to a conclusion within 6 to 12 months a negotiated settlement would have the backing of the international community. To co-ordinate the Republic’s new position Negrin has not based himself at either Valencia or Barcelona but at his villa in Elda just outside Alicante protected by a bodyguard numbering some300 communists from XIV corps. From here by fax and telephone he is issuing invigorating messages to the Republican troops on the front line. However as realist he is making preparations for possible evacuation and exile. But for the moment he will fight on because he realises time is now on his side. Supply: All are in supply except 3005 (Republican line NW of the Cordelera Iberica). Railcap: 1Res Pt expended for 7.5 RE Temporary rail cap. Replacements; 3 PA recovered. I-15/t15 Repaired. Nationalist Harassment hits: 1 @ 3734, 3735, 3736 I-16/t5 intercepts escorted mission at 3734 attempt to bypass the screen of CR.32bis and is Aborted..